The following report is a complimentary offering from MEMRI‘s Jihad and Terrorism Threat Monitor (JTTM). Subscription information is available at http://subscriptions.memri.org/content/en/member_registr_jttm.htm. A 90-minute video posted on YouTube documents a jihadist rally in Jordan, dedicated to the cause of freeing mujahideen incarcerated in Jordanian prisons, chief among them being Sheikh Abu Muhammad Al-Maqdisi. The most prominent speaker at the conference, jihadist sheikh Abu Muhammad Al-Tahawi, called on those present to support the imprisoned mujahideen, and described the Jordanian regime as heretical, corrupt and oppressive. He urged Arabs and Muslim regimes to take a lesson from the collapse of regimes in the region, and advised them to stop relying on NATO, return to Islam, and reconcile with their peoples – otherwise their future would be in jeopardy. Finally, he called upon the rally participants not to be afraid of these regimes, and to join the efforts to establish an Islamic caliphate and to instate Allah‘s law throughout the world. The following are the main points of his speech. Al-Tahawi opens his address by describing a letter he received from Sheikh Abu Muhammad Al-Maqdisi, which spoke of the anguish and torture suffered by the mujahideen in prison and of the discrimination they suffer compared to the other prisoners, and called on everyone to support them. 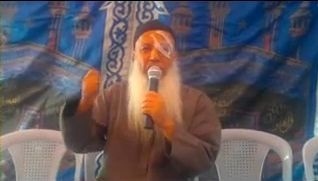 Al-Tahawi states that the mujahideen are in prison for raising the banner of “there is no god but Allah,” and for carrying out the “great task” of defending the blood and the land of the Muslims – whereas the regime that imprisoned them is a “jahili and horribly corrupt regime… whose key officials have sold out the state and its citizens. With one hand they kill and with the other they rob the poor of their livelihood.” The sheikh declares that the Arab regimes are even worse than the Western ones, because the latter regimes, though heretical, are at least uncorrupt, while the Arab regimes are both heretical and corrupt, in addition to oppressing and starving their peoples. The video was also posted on the jihadist forum Shumoukh Al-Islam on June 3, 2012.